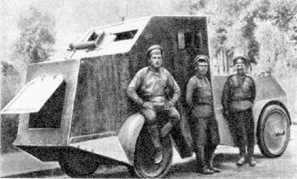 Also Germany built and used in combat 3 vehicles Bussing A5P. 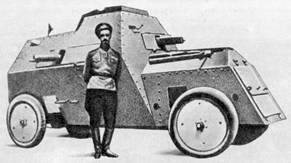 In 1914, the 1st Russian armored squadron acted at German front with big success. 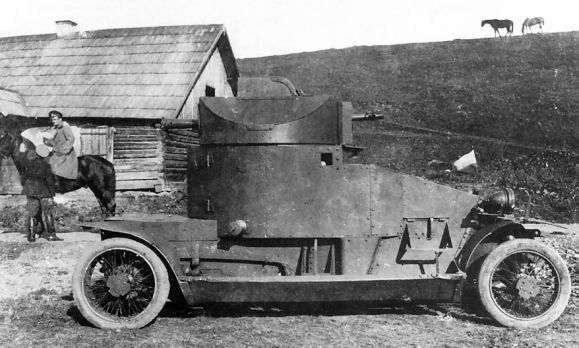 The German armoured car Ehrhardt E-V/4, captured by the Russians and upgunned by 37mm gun. 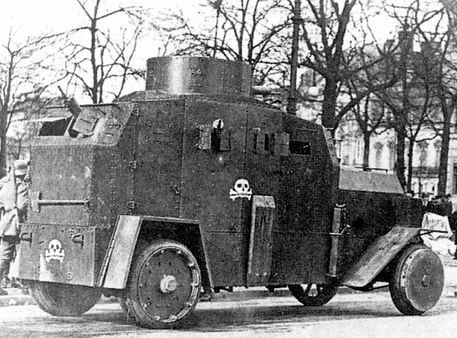 Deutscher Ehrhardt EV.4 Strasenpanzerwagen foto. 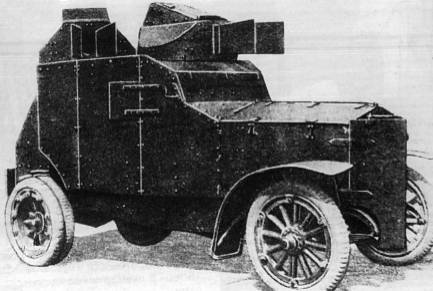 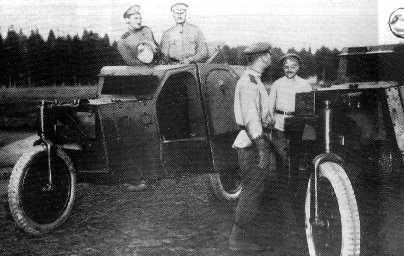 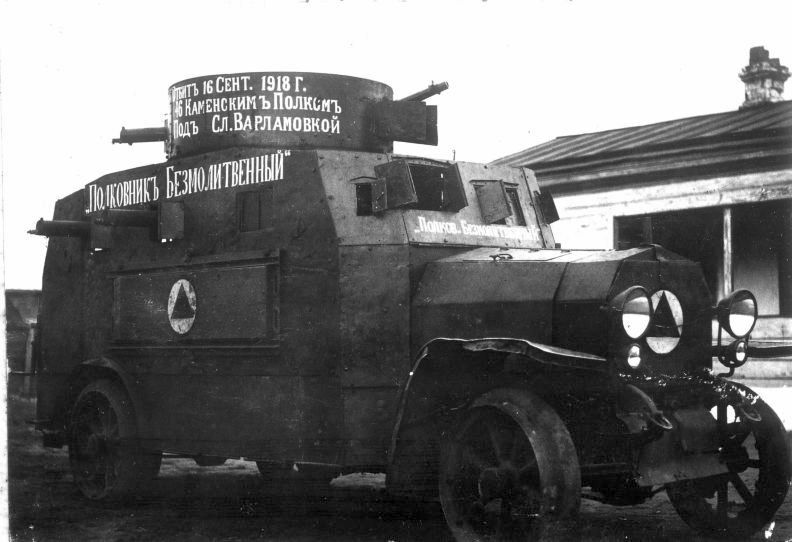 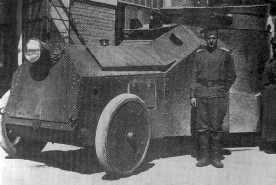 The tree-wheeled Filatov armored cars (Russia): the armament placed at the rear of the hull. 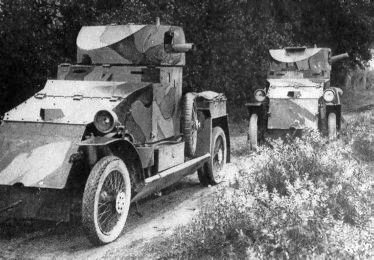 Lanchester got the additional 37-mm gun in Russia. 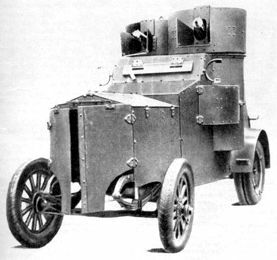 An improvement that served the vehicles well. 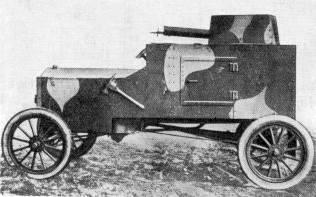 Packard (Russia) had shielded 37mm automatic cannon. 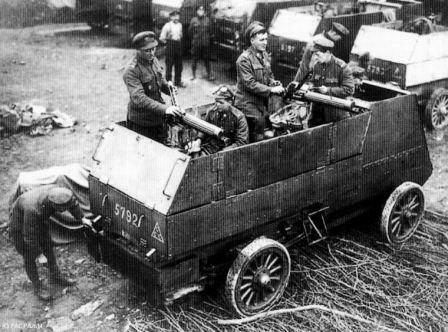 Ford FT-B (Tf-c), Poland: the MG in the turred, but the bottom was not armoured. 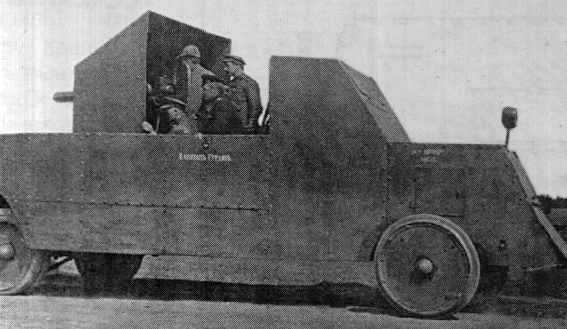 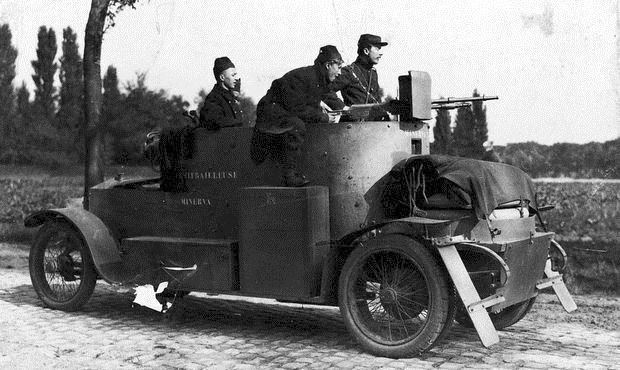 Automitrailleuse Minerva (Belgium): the open roof with the shielded MG.
Belgian armored car Minerva of WW1. 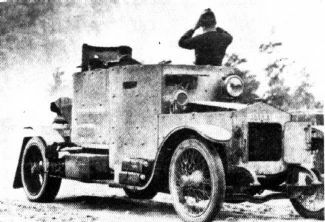 Autocar: The 1st MG mounted in nose, and 2 other MGs mounted openly. 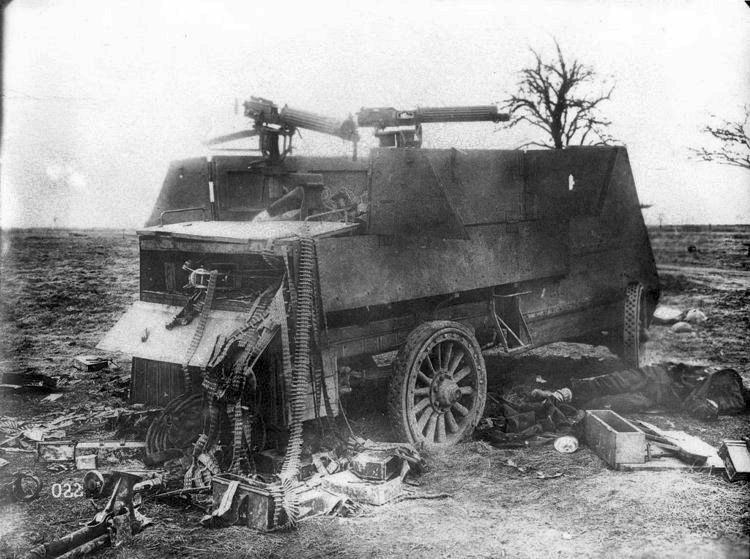 Destroyed armoured car Autocar in France, WWI photo. 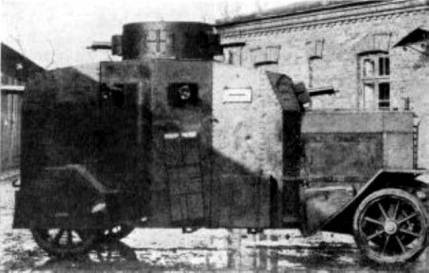 the full-drived Ehrhardt E-V/4 (Germany) had 2 MGs in the turret and four MGs at the hull. 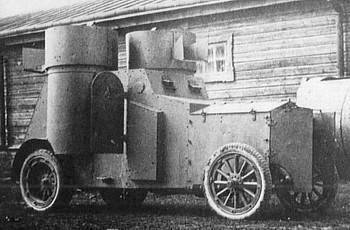 Armstrong-Withworth - the typical British twin-turreted craft made by the Russian order.